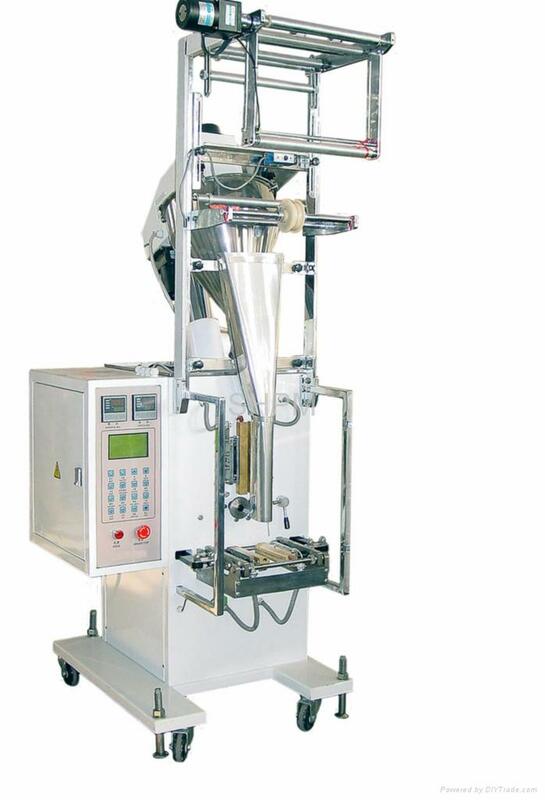 The process of measuring, bag-making, filling, sealing，printing and cutting can be done automatically. 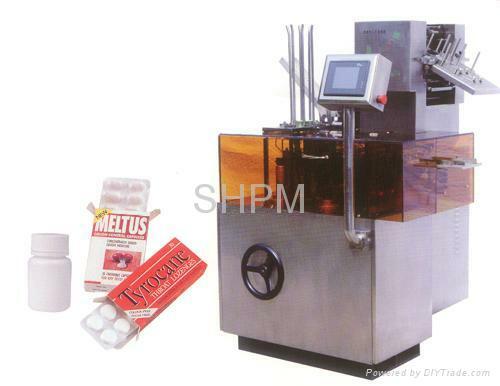 The packaging machine can pack many kinds of material such as grain, powder, liquid and tablet, etc. Various Laminate Film, for example: Polypropylene/Polythene, Polyester/Aluminum foil/Polythene，Polyester/Aluminium-plating/Polythene, Nylon/ Polythene，Polyester/Polythene，etc. 1.It has touch panel and digital display to achieve reliable and easy operation. 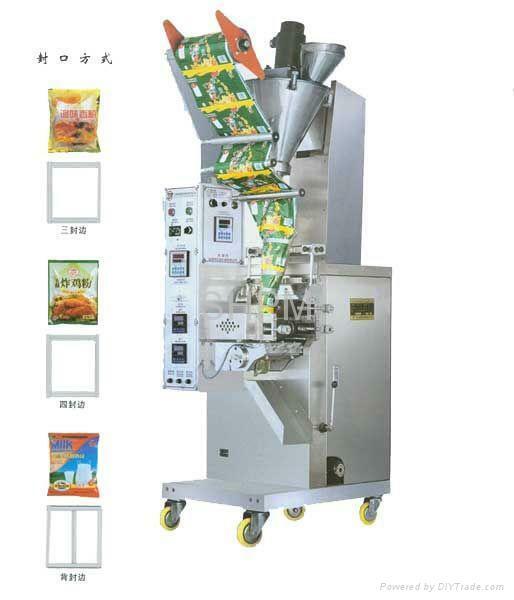 2.Step motor is applied in bag-making system with high precision. 3.With automatically intelligence tracking system, it can get rid of fake color mark, self-positioning and length-fixing automatically. 4. The temperature is controlled intelligently by both heat-sealers. Tablet and capsule kind: Tablet, capsule, etc. 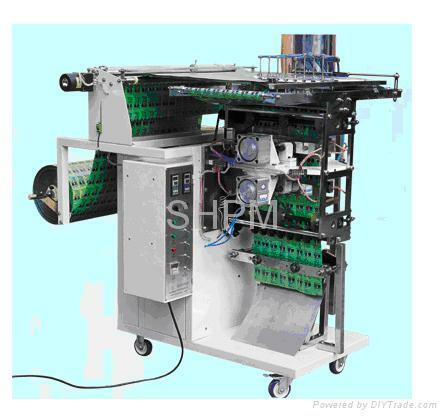 1.The above machine may be equipped with hot stamp imprinting machine. 2.It is choice to be hackle cutters, point line cutters, easy-tearing cutters and exhaust. 3.It is choice to be both heat-sealing mechanism and net or even heat-sealing channel veins. 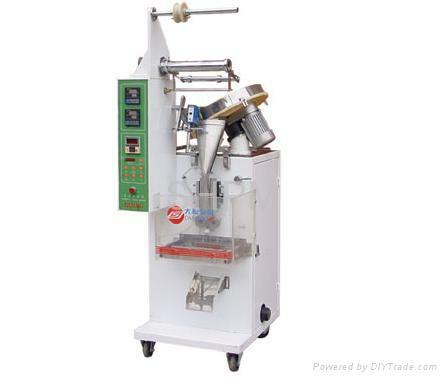 4.The machine that has special bag-size or measuring requirement can be devised and produced specially.